Not much is known of Marie-Cessette Dumas; even her name is the subject of contention. One of only two primary sources mentioning her has her first names spelled two different ways in the same document and her surname has variously been claimed to be derived from the fang (west African language) word “dûma”, meaning “dignity” or merely from the French “du mas” meaning “of the farm”, a descriptive addition to her first names meant to signify that she belonged to the property. Either way, she was a black slave, likely captured in West Africa and shipped to the French colony of Saint-Domingue, now Haiti, where she was bought by Marquis Alexandre Antoine Davy de la Pailleterie some time before 1762. They resided on the plantation of La Guinaudée where Marie-Cessette became his concubine and together they had three children. It is unclear what fate befell Marie-Cessete. One source suggests she died in 1772 of dysentery. However, a more compelling theory, backed up by a 1776 letter from a retired official on the island, is that the Marquis sold her together with their two youngest children, and the daughter she had with another man prior to their relationship, to a nobleman from Nantes. This occurred just prior to the Marquis arranging for the other child, the then 14-year old Thomas-Alexandre, to accompany him on his return to France whereupon he was freed. Thereafter, the Marquis spent lavishly on his son, ensuring his education and providing him, in 1784, with a swanky apartment near the Louvre Palace. Two years later though relations between Thomas-Alexandre and his father broke down following the Marquis’ marriage to a domestic servant on his estate. 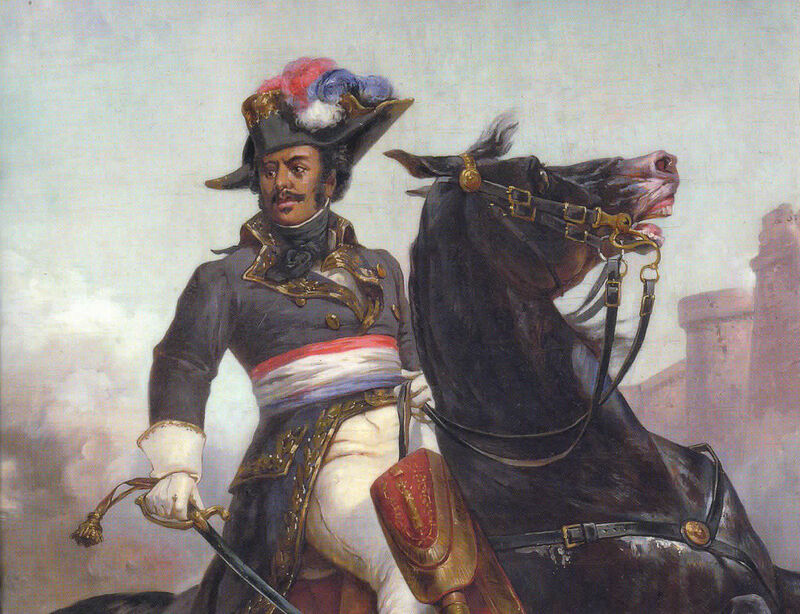 Thomas-Alexandre joined the army as a private, his mixed race making it difficult for him to claim noble privilege and join as a commissioned officer, and from this time on he began calling himself Alexandre Dumas. With the outbreak of Revolution, promotion came fast; lieutenant colonel in 1792, brigadier general by July 1793 and general of division just a month later. By the end of that year he was commander of the Army of the Alps and captured the strategic stronghold of Mount Cenis from the Piedmontese. Somehow though he fell victim to the mad world of the politics of the day, was denounced and called to appear before the Committee of Public Safety during the Terror. However, he managed to delay his journey to Paris long enough so that Robespierre fell before he was seen. Service with the Army of the Rhine and the Army of Italy under Bonaparte then followed but relations between Dumas and Bonaparte were strained as Dumas resisted the policy to expropriate local property indiscriminately. However, following Dumas’ heroic effort to single-handedly drive back an entire squadron of Austrian troops at a bridge over the Eisack River, Napoleon rewarded him by making him commander of all cavalry in the Tyrol and the following year giving him command of the cavalry he took to Egypt. Within a few months the relationship between Napoleon and Dumas had collapsed with Dumas being accused of sedition and being removed from command. Things went from bad to worse for Dumas as his ship sank on the return journey to France and he was imprisoned in Taranto by the forces allied to the Kingdom of Naples. During two years of captivity his health was broken and he never saw active service again. In 1802, he and his wife Marie-Louise had their third child, a son, who they inevitably name Alexandre but they were struggling to make ends meet and when Thomas-Alexandre died of cancer in 1806 his widow and her children were plunged into poverty. The next few years were hard but the family still had their father’s distinguished reputation and finally, after the restoration of the monarchy one of Marie-Louise’s letters to her late husband’s comrades finally paid off. General Maximilien Foy, impressed with Alexandre’s elegant handwriting, secured him a position as a clerk to the Duc d’Orleans, later King Louis Phillippe. With the security of a steady income behind him he began to devote more energy to his own writing and by 1829 he was beginning to see success. That success would grow and grow. And alongside his publishing success he was to lead a life that was almost as exciting as the characters he wrote about. He took part in the Revolution of 1830. He built a fantastic chateau on the outskirts of Paris and had to sell up two years later because acquaintances had taken such advantage of his generosity. He travelled widely to Belgium, to Russia and to Italy where he participated in the movement for the unification of Italy. He wrote in a wide variety of genres and published a total of 100,000 pages in his lifetime. 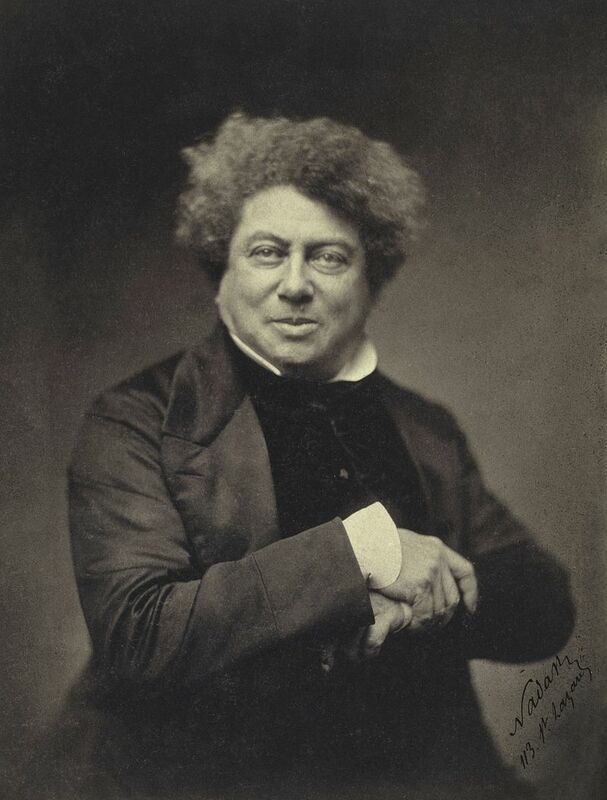 His works, including some all-time classics like The Three Musketeers and The Count of Monte Cristo have since been translated into a hundred languages and have sold more than any other French author. 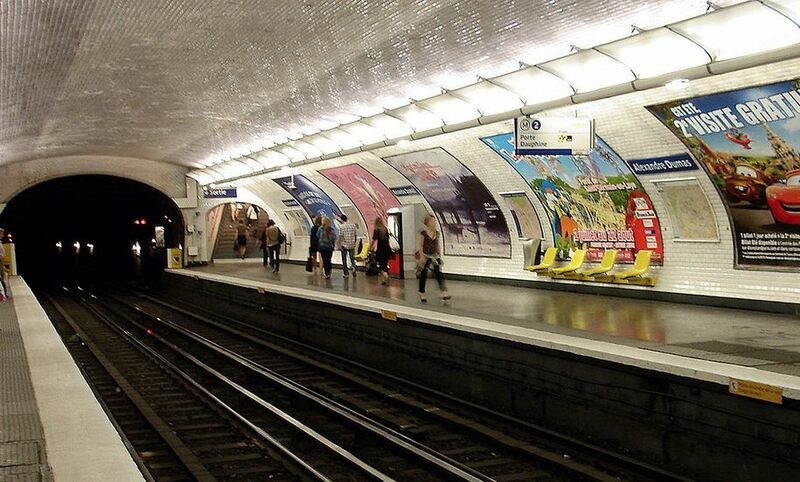 And he also has a Paris Metro station named after him!